Vehicles covered in ash in the wake of the El Fuego volcano eruption in Guatemala. What has happened in Guatemala? 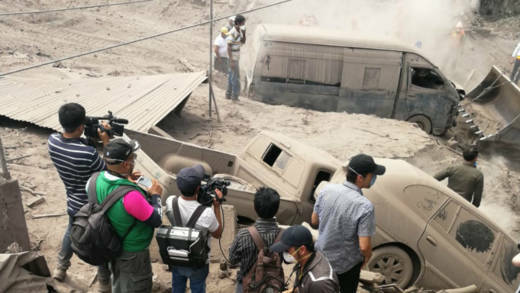 Around mid-day local time, on Sunday 3 June, there was a catastrophic eruption of Guatemala’s Volcán de Fuego in three central departments, or states. It has been described as the country’s most severe volcanic eruption in 45 years. El Fuego is around 27 miles southwest of Guatemala City, the capital. It is an extremely active volcano and had already erupted in February, this year. It is located on the seismically-active Pacific 'Ring of Fire'. How many people are affected by the El Fuego volcano eruption? The death toll stood at 75 people, as of the 7 June, although this is expected rise as more bodies are found. To date, the number of missing people is said to be 192. But, this is just an estimate, because nobody knows how many people were on the mountain when El Fuego erupted. It is estimated that more than 1.7 million people, will be affected by the volcano’s eruption. What are the emergency needs? In an emergency like this one, the immediate needs are the basics – food, water and shelter. There is also a need for trauma counselling support, as families come to terms with losing loved ones. Who are CAFOD’s local Caritas aid agency and how are they responding? What is the Catholic Church in Guatemala saying? President of Caritas Guatemala, Monsignor Ángel Antonio Recinos Lemus, is calling on the cooperation of the Caritas confederation support families with psycho-social care, recovery of their jobs, construction of decent housing and other basic needs. He also applauded the impressive solidarity that has been shown by the people, institutions, churches, academia and volunteers, some of whom have given their own lives to save others. 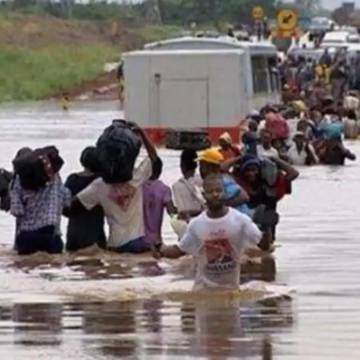 Donate today to help those who have lost everything in the devastating cyclone and floods.